* Salesforce.com has made a success of its AppExchange, building a vibrant marketplace for lead user- and consultant-created application extensions to Salesforce.com. 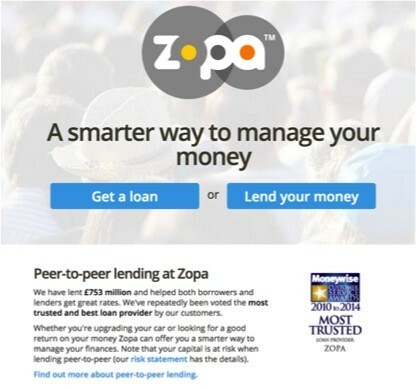 * Zopa the peer-to-peer lending exchange that lets lenders and borrowers bypass banks entirely, yet spreads the risk and yields higher returns. My hunch is that of the remaining seven companies profiled in the Disruptors article Applied Location, BlueLithium, Clearwire, EEStor, Jajah, NanoLife Sciences, and NextMedium, at least another couple of these were probably co-created with lead users, or stemmed from lead users’ explorations and innovations. Disrupting an industry is a great barometer for real breakthrough innovation.